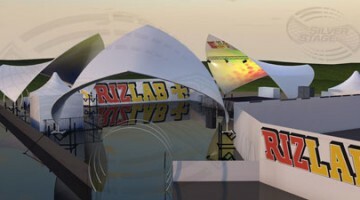 We’re delighted that three of our fabulous S1000 canopies will be used to create the dynamic Rizlab arena at this year’s Bestival on the Isle of Wight. 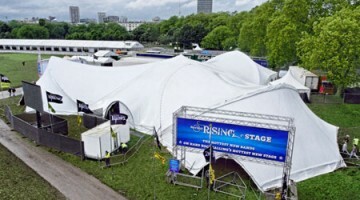 Despite recent bad weather affecting events at the famous site, we recently demonstrated our versatility by utilising the same structure for two very different festivals in London’s Hyde Park. 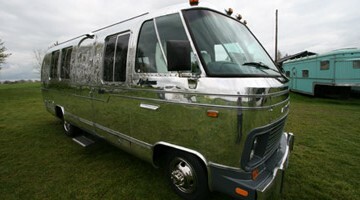 An iconic American Airstream motorhome has received a full makeover from Silver Stage event structures, turning it in to a sleek and stylish media hub. 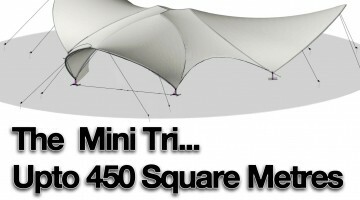 Our stunning and exclusive new S2000 Tri Structure is proving to be quite popular this year. With its unique style and distinct shape, we’re not at all surprised! Over the past few months our crack team of designers and developers have been working to make some vast improvements to our already stunning site, bringing you cutting-edge ways of interacting with the site. 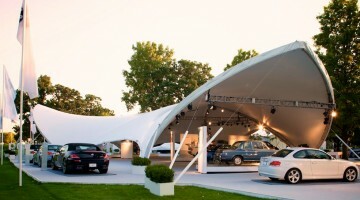 This amazing structure will hold a small stage, with room for hundreds of people! 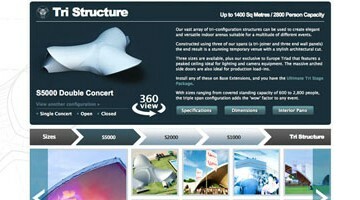 Are you looking for a truly funky structure? Make your next event stand out with a crazy patterned top or custom wrap! Choose from one of our designs printed directly onto any top, or create your own design! 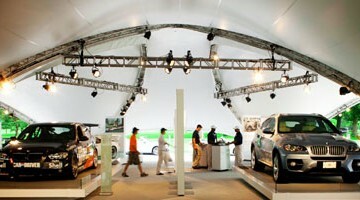 Raise the Roof, literally! 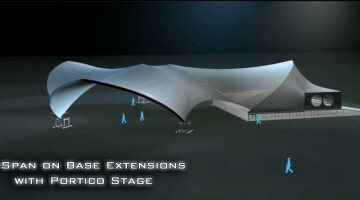 Our exclusive Base Extensions set us apart from the competition, and the unique XtEnd Portico wall gives performers the stage area they deserve.